At the heart of the criticism is a speech Gantz made Monday morning to a Druze group. “I will act to change the Nation-State Law,” which has been opposed by some Druze groups, mostly because of its definition of Israel as primarily a Jewish state, although there is nothing in the law to compromise the rights of any Israelis, Jewish or otherwise. Chairman of the Knesset Foreign Affairs and Defense Committee and new Likud member Avi Dichter had a different perspective on the comment. 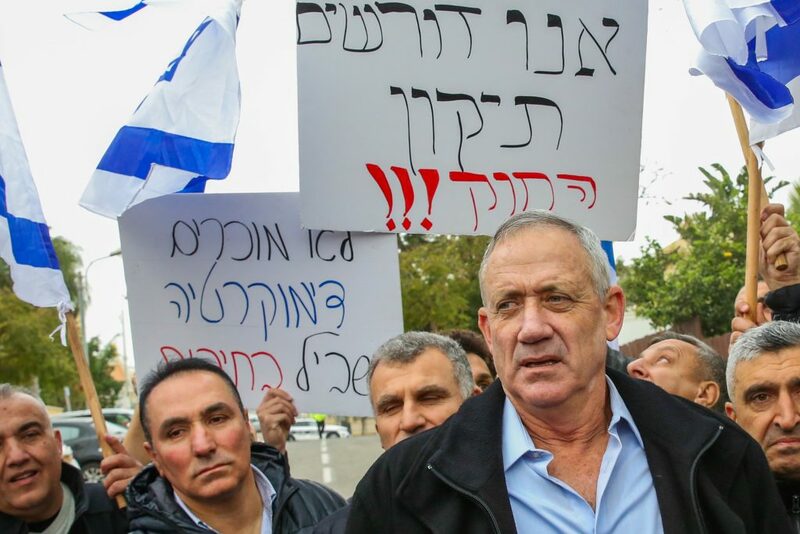 “It’s not surprising that this would be the first thing Gantz says, and to a Druze group, because the Madhat Yusuf incident is still casting a shadow over him,” Dichter said. Yusuf, an IDF soldier who was on guard at Kever Yosef, died of injuries sustained during a battle with terrorists in 2000. Family members blamed his death on Gantz, who at the time was the head of the IDF’s Yehudah and Shomron division. According to the family, Gantz refused to act to save Yusuf by sending in soldiers to defend him, instead preferring to appeal to PA police to rescue Yusuf. The PA police agreed, but left Yusuf in the field for four hours, where he eventually bled to death. “The Nation-State law does not hurt anyone’s rights, and for you, my dear Gantz, silence would have been preferable than this terrible comment,” Dichter added.